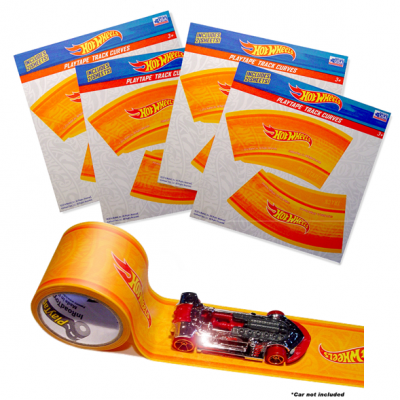 Create instant Hot Wheels tracks anytime, anywhere! Just unroll, stick, and race! Perfect for 1:64 Hot Wheels cars. Straight track and curves available. Hot Wheels Orange and Blue, 15 and 30. Non-toxic, leaves no residue. Creates and build imagination. Simple idea that builds long time play. It's a great way to encourage kids to make fun and creative racetracks.